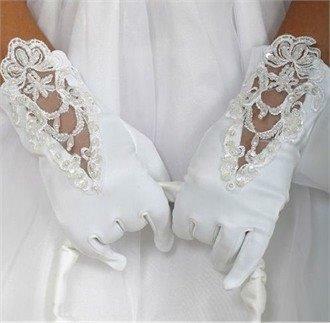 miniature bridal gowns dresses - USA flower girl bridal gowns - flower girl wedding gowns. 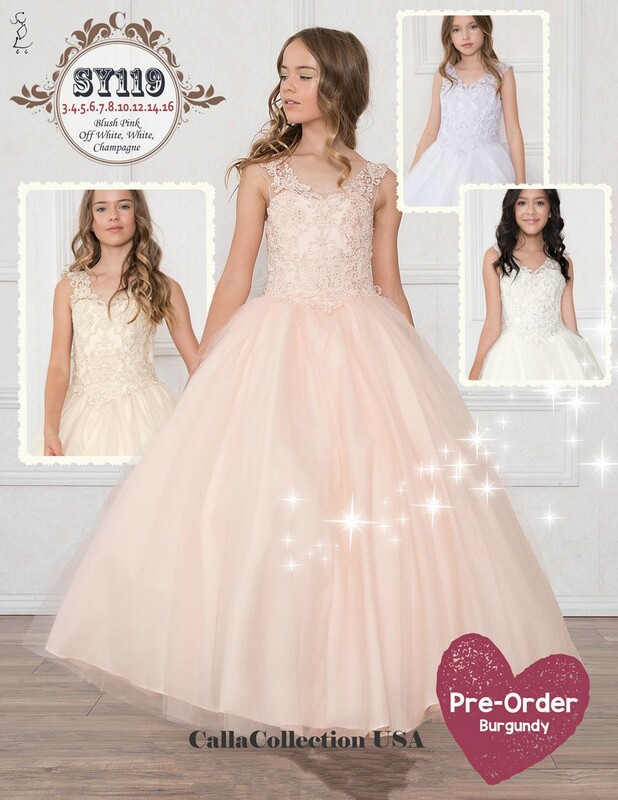 Bridal flower girl dresses - Many Styles, from T-length to floor length without trains - $60 to $200 in sizes 2 to 20. 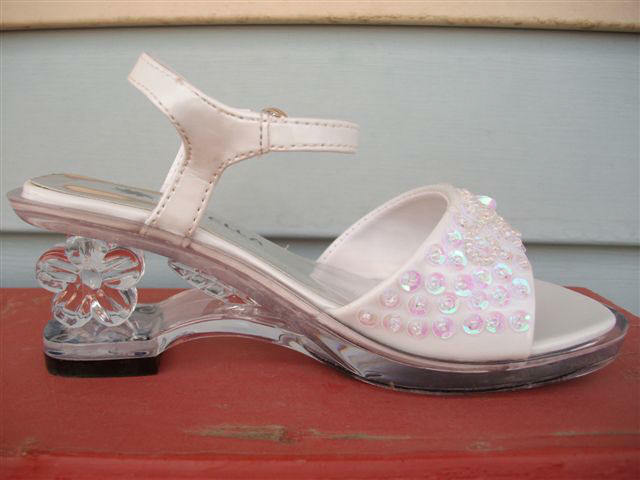 Flower girl dresses are a precious addition to your wedding, choose an appropriate, and cost effective style. Dresses on this page are premade in sizes shown, ready to ship in 10 to 14 days. 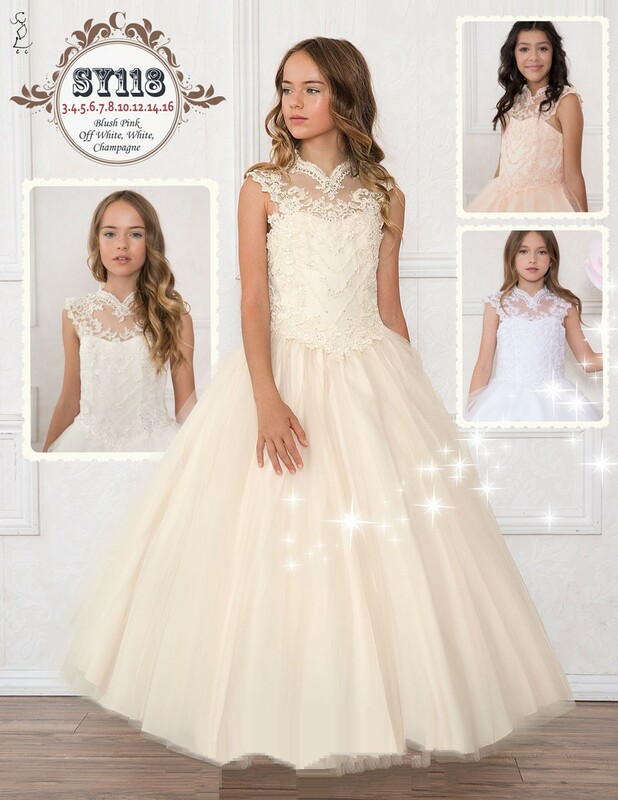 White ball gowns for girls are popular for flower girls and Communion. 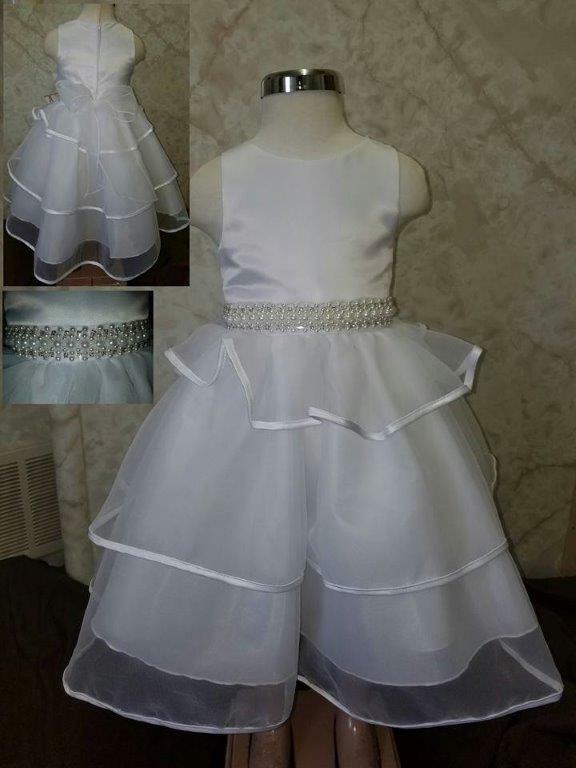 2 piece set formal organza satin dress with detailed in satin bias. Organza 2 piece set formal Dress with satin bolero detailed in rhinestones.